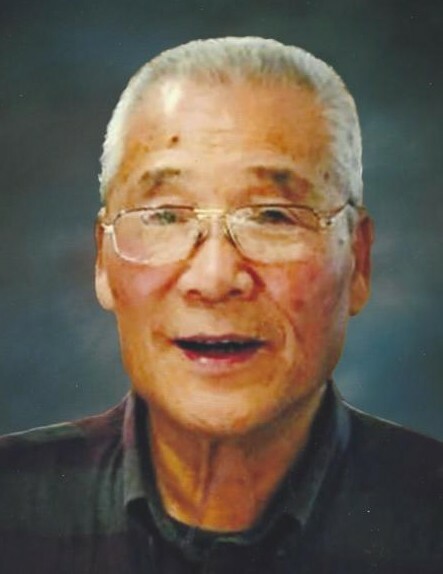 Sung Hun Choi, age 86, of North Kingsville died at home Tuesday, April 3, 2018 with his family by his side. Sung was born November 29, 1930 in Jin Ju, South Korea the son of Sung Ho Choi and Jung He Yoon. He attended the “Korean West Point” and served in the Korean War. Later he attended college in South Korea and received his Bachelor’s degree and Master’s degree in Business. Sung worked for the Korean Telephone Company until he retired in 1989. In his younger years he was a great high school baseball player and loved running. On May 15, 1993 Sung and his wife Hwa came to the United States and became citizens. He enjoyed golfing, reading Japanese and Korean books, war movies, spending time with family and friends. Sung is survived by his wife, Hwa Sun Choi, son Won Hyun Choi (Kyeong Hwa Lim), daughters Yoon Ok Choi (Domg Ki Kim), Yoon Hee Choi (Kyung Hoon Baek) and Yoon Sook Choi (Tae Won Han), nine grandchildren, three of whom were raised by their grandparents, Gregory, Tina (Jeffrey), Grace (Kyle) and 4 great grandchildren. Calling hours will be held TODAY, Wednesday, April 4, 2018 from 4:00 p.m. to 7:00 p.m. at the Raisian Family Funeral Home, 581 Harbor Street, Conneaut. Funeral service will follow with Minister Park of the Ashtabula Korean Church officiating. Memorial contributions can be made in Sung Hun Choi memory to the American Cancer Society, 10501 Euclid Ave, Cleveland, Ohio 44106. Envelopes will be available at the funeral home.